Bruce Banner, once a quiet and mild-mannered physicist, was transformed into a violent, nearly uncontrollable green force of destruction when exposed to gamma radiation while working on an experimental bomb. Henceforth known as the Hulk, the angrier he is, the more powerful he becomes. Appearing in comics, television shows, movies, and video games, the Hulk has gained recent popularity through Marvel Cinematic Universe films such as The Avengers and Age of Ultron, where he is portrayed in his Bruce Banner form by Mark Ruffalo. At Superheroes Direct, we offer fans of the Hulk a variety of collectibles and apparel, including costumes, t-shirts, diorama sets, drinkware, home decor, POP figures, keychains, bobble heads, and more, featuring his classic appearance as well as his look from recent MCU films. 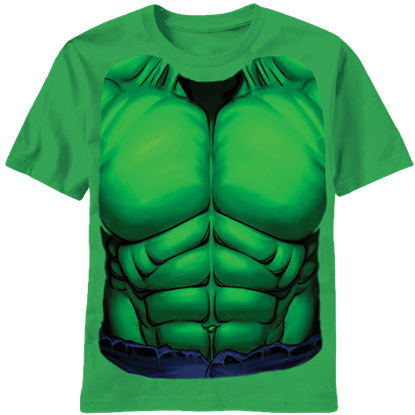 When it comes to dressing up as a superhero like the Hulk, its all about a larger-than-life, superhero physique. 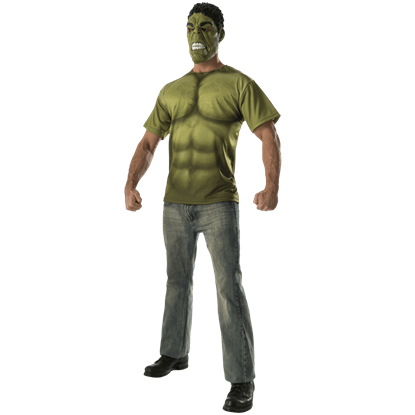 The Adult Avengers 2 Deluxe Hulk Costume Top and Mask Set, with its strategic, muscle-like padding, has got you covered. You dont have to be angry to get the green, gamma-radiated look of the Hulk when you wear the Adult Avengers 2 Hulk Costume Top and Mask Set. 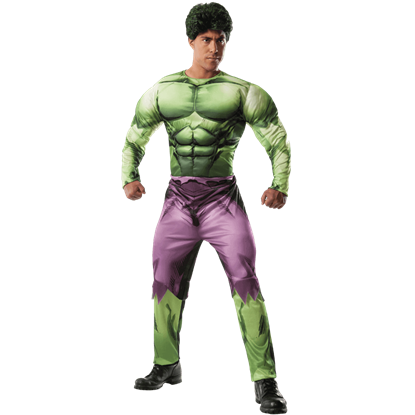 This licensed costume set is inspired by the Hulks appearance in Avengers 2 Age of Ultron. 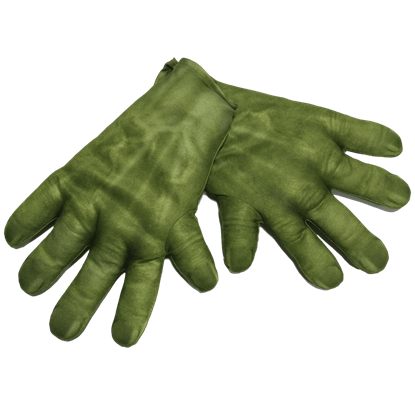 If the Hulk is your favorite Avenger, your superhero costume cannot be complete without the Adult Avengers 2 Hulk Gloves. Sold in sets of two, these officially licensed gloves feature realistic printed details in gamma ray green. When you want to want to add superhero style to your daily wear but its not easy being green, consider this Adult Hulk Costume Top and Wig. This licensed costume is perfect for a Halloween party or the next superhero movie premiere. 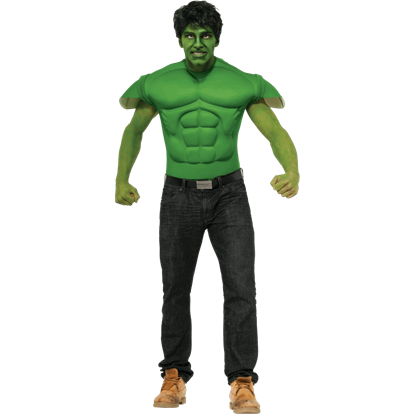 Dress as the Green Goliath this year with the Adult Hulk Deluxe Muscle Costume. Wear this licensed costume to a Halloween party or themed event. But try not to smash everything in sight without a S.H.I.E.L.D. clean-up crew on standby. When Bruce Banner becomes enraged he transforms into the Hulk, a large green humanoid with superhuman strength and invulnerability. 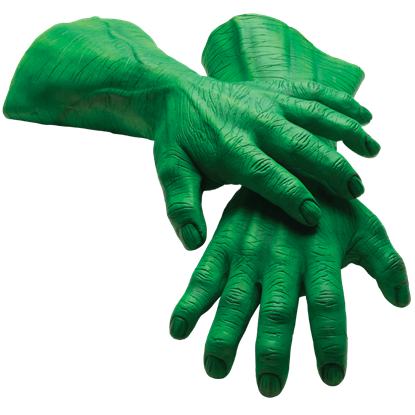 These Adult Hulk Hands will help you complete your costumed transformation into the Green Goliath. 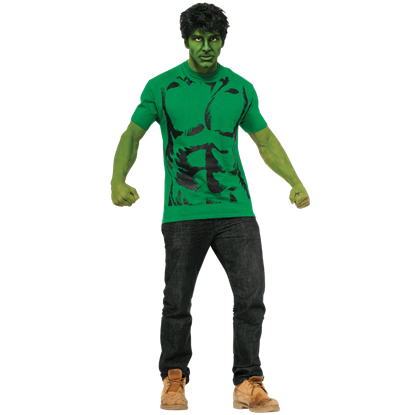 Get the classic look of the Hulk without risky exposure to gamma radiation. 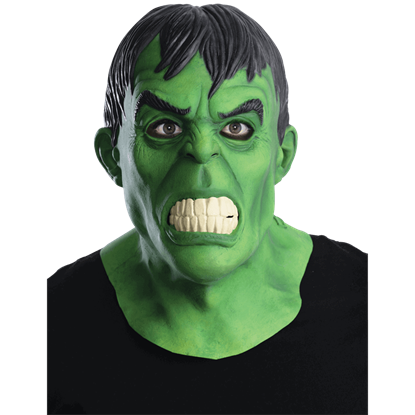 The Adult Hulk Latex Mask features the ever-enraged look of this Marvel superhero in extreme quality that will have all your friends going green with envy. Bruce Banner thinks no one likes him when he is angry, but his alter ego the Hulk is an extremely popular member of the Avengers. 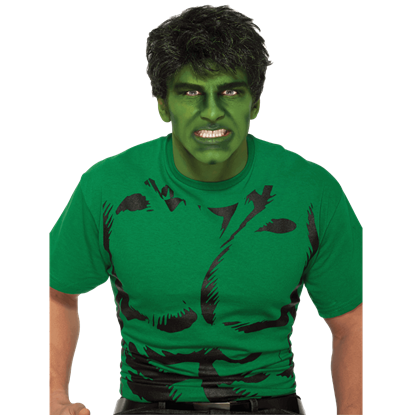 With this Adult Hulk Muscle Costume Top and Wig, you are well on your way to an incredible costume! Hulk smash! When you want to bring out your inner Hulk, you have to have the right costume accessory, unless you are naturally green. 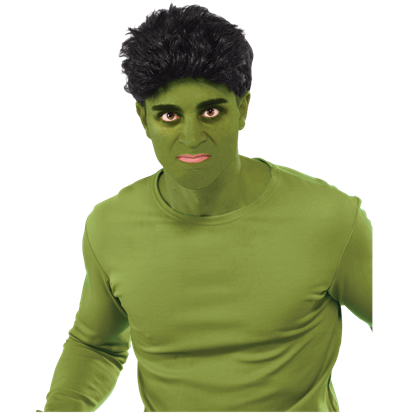 Become the rage-fueled Avenger and one of the best superheroes of all time with this Adult Hulk Wig. Bruce Banners Hulk alter-ego is more than just green skin. He also features a full head of short, dark hair. 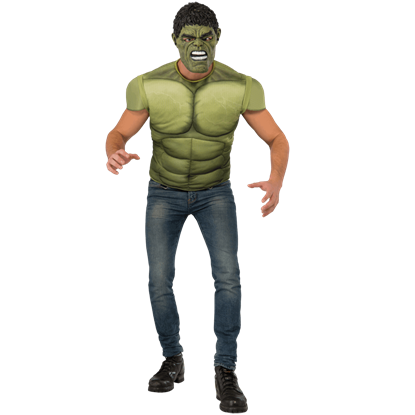 The Adult Hulk Wig makes it easy for fans of this Marvel superhero to achieve his look without altering their own hair. Bruce Banner can become the Hulk at will by letting his rage overtake him. 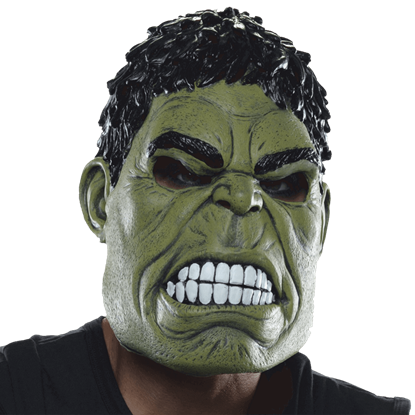 But if you need a little help getting into the Hulk mindset, try this Age of Ultron Adult Hulk Mask, based on the character from the blockbuster film.